Paid for by you – legal regulator is no guarantee of justice for wronged clients. WHENEVER someone asks the question – who exactly pays for the Scottish Legal Complaints Commission (SLCC) - the ‘independent’ regulator of solicitors in Scotland, from judges to Justice Secretary, from lawyers to advocates, and even the SLCC itself, the answer is always – the ‘independent’ regulator is funded by a levy paid by lawyers. The levy – hovering between £2.5m to £3m a year is collected by the Law Society of Scotland, and handed over each year to the ‘independent’ SLCC – itself staffed by former staff members of the Law Society of Scotland, lawyers, relatives of lawyers, and friends of lawyers. With fifteen members of staff who qualified as solicitors, five members of staff who held a previous position at the Law Society of Scotland, eight members of staff who held a previous position at a law firm, and five members of staff who have held previous positions at a law firm and Law Society of Scotland ..costs are high, to keep all those lawyers and former lawyers in a job of self regulation. But, who really pays for the SLCC? And just exactly how do lawyers get the £3 million a year to pay for the levy ? – a follow up question you might be forgiven for thinking should come easily to any inquisitive mind. £3 million a year - It has to come from somewhere, right? The answer is easy – from you, the client. Yes, you - in the form of ripped off clients, ripped off estates, mortgage frauds, embezzlement, and of course, fees for legal work charged to you by your lawyer. And, many times over. Remember that ‘hard hitting, deserving of justice, easy to win case’ you took to some solicitor who looked you in the eye and said, no problem as the pound signs flashed by ? After all, the annual SLCC levy is a mere £324 for solicitors … less than the cost of a decent flat screen television. How easy solicitors find it to add this amount many times to fee notes sent out to their private & corporate clients. It is so easy, you never notice. But it happens. You realise that now, don’t you. And just because some former High Street solicitor posing as a Scottish Minister sits in front of a Parliamentary committee and says Scotland’s ‘independent’ regulator of lawyers the Scottish Legal Complaints Commission, is funded by a levy paid by lawyers – you now know - you – the client, pay for it. So, next time someone tells you the Scottish Legal Complaints Commission is paid for by lawyers, you know different. You pay. Justice Secretary says ‘No’ to msps in judges interests row. SCOTLAND’S Justice Secretary Kenny Macaskill has for the third time refused to support a plan to register all judges interests including secret wealth & links to big business in proposals currently being considered by the Scottish Parliament’s Public Petitions Committee - Petition PE1458: Register of Interests for members of Scotland's judiciary. Writing in his latest letter to the Convener of the Public Petitions Committee, one time High Street lawyer Kenny MacAskill, who, just two weeks ago handed new rights to rogue lawyers to complain about investigations into complaints, also ruled out any further powers for the Judicial Complaints Reviewer (JCR), despite calls from Moi Ali - Scotland’s first JCR for a substantial increase in powers to the ‘toothless’ office which is tasked to look into how judges handle complaints about their own colleagues. 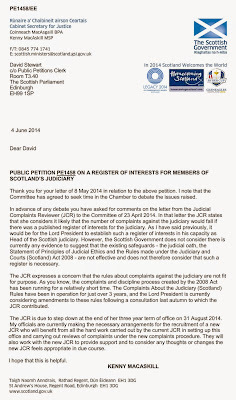 MacAskill’s almost ‘scripted’ letter, dated 4 June 2014 - one day before Scotland’s top judge Lord Gill issued his latest anti-transparency tirade against calls for more judicial accountability is little more than a repeat of previous correspondence from the Scottish Government to msps, ceding control of the issue to Lord Gill, who firmly opposes any transparency for Scotland’s secretly rich judges. In keeping with previous scripted responses from Lord President & Lord Justice General Brian Gill and the Scottish Government to members of the Petitions Committee, MacAskill repeated his earlier line he was satisfied the arrangements of judicial oaths and rules written by other judges kept the judiciary in check – even though it has now been revealed several of Scotland's top judges hold investments in multi national corporations convicted of criminal offences both at home and abroad. A vested interest – MacAskill ‘s letter to MSPs investigating judicial transparency. Thank you for your letter of 8 May 2014 in relation to the above petition. I note that the Committee has agreed to seek time in the Chamber to debate the issues raised. 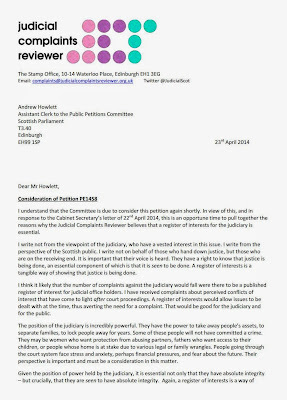 In advance of any debate you have asked for comments on the letter from the Judicial Complaints Reviewer (JcR) to the Committee of 23 April 2014. In that letter the JCR states that she considers it likely that the number of complaints against the judiciary would fall if there was a published register of interests for the judiciary. As I have said previously, it would be for the Lord President to establish such a register of interests in his capacity as Head of the Scottish judiciary. 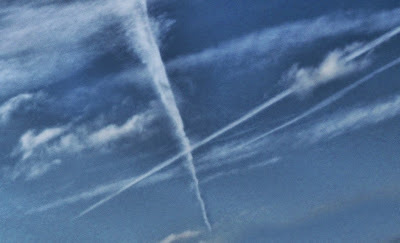 However, the Scottish Government does not consider there is currently any evidence to suggest that the existing safeguards - the judicial oath, the Statement of Principles of Judicial Ethics and the Rules made under the Judiciary and Courts (Scotland) Act 2008 - are not effective and does not therefore consider that such a register is necessary. The JCR expresses a concern that the rules about complaints against the judiciary are not fit for purpose. As you know, the complaints and discipline process created by the 2008 Act has been running for a relatively short time. The Complaints About the Judiciary (Scotland) Rules have been in operation for just over 3 years, and the Lord President is currently considering amendments to these rules following a consultation last autumn to which the JCR contributed. JCR who will benefit from all the hard work carried out by the current JCR in setting up this office and carrying out reviews of complaints under the new complaints procedure. They will also work with the new JCR to provide support and to consider any thoughts or changes the new JCR feels appropriate in due course. Moi Ali has since stood down as Judicial Complaints Reviewer, having written her final annual report, which is yet to be published by the Scottish Government. Meanwhile, members of the Public Petitions Committee are still awaiting a date for a full debate on proposals to create a register in the Scottish Parliament’s main chamber. Clerks to the Public Petitions Committee are also still trying to fix a date for the next committee debate on the petition itself, after having received requests for further issues to be discussed by msps. Top judge hails business as usual in legal year opening speech. WHILE Scotland’s top judge, Lord President & Lord Justice General Brian Gill opened the new legal year for 2014 in Edinburgh last Friday with a promise of … business as usual, the growing list of companies on judges investment portfolios now convicted of criminality, bribery & financial market rigging added one more corporate giant - this time with the addition of GlaxoSmithKline (GSK) - fined £297 Million by the Changsha Intermediate People's Court in Hunan Province, China after drugs giant GSK was caught in a bribery scandal. 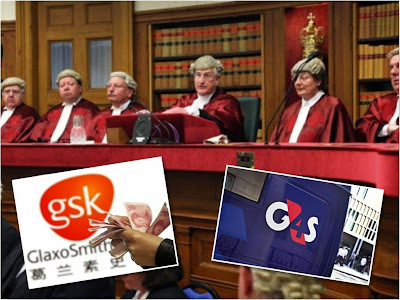 And, despite the fact the Serious Fraud Office is conducting a criminal investigation into GSK’s sales practices around the world and the US Department of Justice is also investigating GSK for possible breaches of the Foreign Corrupt Practices Act, Lord Gill chose not to comment on investments held by judicial colleagues in companies linked to criminality, both at home and abroad – even though it has been revealed judges are deciding cases in courts which involve companies on their shareholdings portfolios. Choosing instead to have a dig at the independence referendum among the other now familiar claims of speeding up justice and the creation of Arms Length Organisations within the courts system such as the Judicial institute – which helps train judges on how to dodge calls for openness & speedier justice, Lord Gill also welcomed new QC’s, guests and other vested interests whose lives revolve around extracting exorbitant legal fees from clients desperately seeking justice in Scotland’s “Victorian” courts and other jurisdictions. And, despite a two year battle with the Scottish Parliament over proposals to create a register of interests for Scotland’s judiciary, which Lord Gill opposes, the Lord President’s only reference to transparency during the opening address for the new legal year was limited to references to the Edinburgh Festival and his exhibition of the courts. Gill told those in attendance explanations to the public on how the courts operate were sufficiently satisfied by exhibiting the £58 Million pound publicly funded spend on a Stained Glass window and new door handles for Parliament House which also comprises Scotland’s Highest Court – the Court of Session – the most inaccessible, inhospitable and adversarial venue in the land for ordinary Scots who attempt to secure justice against vested interests favoured by the judiciary. Lord President’s speech. Opening of the Legal Year 2014: The Opening of the Legal Year coincides with the biennial celebrations of the Faculty of Advocates. On behalf of the court it is my pleasure to extend a warm welcome to the guests of the Faculty and to my own guests. We are honoured by your presence. On behalf of my colleagues I wish you all a most enjoyable weekend and hope that you will have pleasant memories of your visit to Edinburgh. It is customary on this occasion for the Lord President to review the legal year that has passed and to set out our hopes and plans for the coming year. I realise that in these momentous days in our history, my brief remarks today may not command the rapt attention that you would otherwise have given them. The Referendum was in essence a choice of two ways by which Scotland could express its nationhood. Now that the people have expressed their will, it is timely to point out that we are in the middle of a historic programme of national significance which will reform the structure and the procedures of our civil courts. This programme would have had the same validity whatever had been the outcome of the Referendum. These reforms are not just about process. They are a means to an end. By creating efficient and responsive courts to bring civil justice to the citizen, we will safeguard and enhance the integrity of Scots law and ensure its survival as a vigorous system. That aim can be achieved only if the efficiency of our courts is matched by the commitment of the profession, and if the Judiciary at all levels displays the highest standards of excellence. We are fortunate that our Judicial Institute has established an international reputation for the quality of its judicial training. I am grateful to everyone involved in the work of the Institute for all that they have done. Throughout the last 30 years this court has suffered from the seemingly intractable problem of backlogs and excessive waiting times. I am pleased to say that by the Spring of this year there were no longer any backlogs in this building in either the civil or criminal courts. This is a milestone. I congratulate and thank the administrative judges and my willing colleagues through whose efforts it has been achieved. We have also made great progress in the first instance business of the High Court. Through intensive and skilful case management the average number of preliminary hearings in each prosecution has in two years, been halved. The problem of churning at first instance is now under control and will soon be eliminated for all practical purposes. In June of this year I took the Appeal Court to the great city of Glasgow for two weeks. It was a successful visit in every way and I propose to establish this as a regular practice. From October the High Court in Glasgow will be the dedicated centre for preliminary hearings. This will free up court time for other hearings and effect significant savings in legal aid. 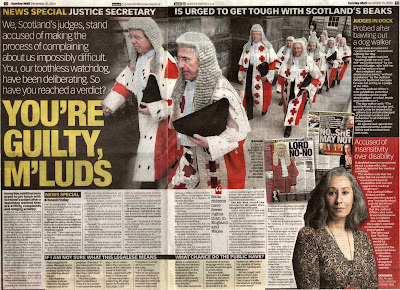 I am grateful to Lord Turnbull and the Glasgow judges for having transformed the work of the court. I think that a modern court has a duty to explain itself to the public. If there is proper public understanding of what we do then we may reasonably hope for public support. For that purpose we had an exhibition in Parliament Hall throughout the summer which explained the work of the courts and encouraged the public to take an interest in what we are trying to achieve. The exhibition was attended by about 3000 visitors and has, I think, been generally accounted as a considerable success. This marked the completion of our £58 million redevelopment of this historic building, which was on time and under budget. 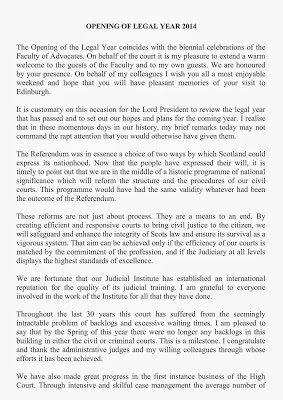 I conclude by expressing my heartfelt thanks and appreciation to my colleagues and friends on the bench and my colleagues and friends in the Scottish Court Service. I am grateful to them for their enthusiasm and their commitment. Together we have, I think, created a court that is efficient and responsive to change. By the end of this year the Courts Reform legislation will have completed its progress through the Parliament and by early next year implementation will have begun. It will be an eventful year. I wish you all every success. It is now my pleasure to welcome those members of the Bar who have been appointed to the rank and dignity of Her Majesty's Counsel. Mr Borland, your extensive experience in the field of commercial and construction law is informed by your impressive academic credentials. You have made a significant contribution to the work of the Scottish Law Commission. You are in every way fitted for the rank of Queen's Counsel. We look forward to your presence in the Inner House. Mr McIlvride, you practised as a solicitor for many years. That experience led to a distinguished career as an advocate. You have already presented a case, as leader, in the Supreme Court. You will be a considerable asset at the Senior Bar. Mr Simpson, you are a leading tax specialist in both Scotland and England. In your work as a lecturer at Aberdeen University and in your contributions to specialist tax journals, you have established your reputation. I look forward to your appearances in tax appeals when you will explain to us what it all means. Mr Scullion, our criminal courts have benefitted from your careful and forensic presentation in the most challenging and sensitive cases. As Assistant Principal Crown Counsel, your appearances in the Appeal Court have given you ample opportunity to demonstrate your coolness under fire. The award of silk is a mark of distinction. For all four of you it is an honour that is richly deserved. It is also a privilege; and I hope and trust that you will always be worthy of it. Judicial shareholdings snapshot of top judges shares. In a report by Diary of Injustice last month, disclosures of judges personal shareholdings revealed judges benefit financially from owning shareholdings in companies fined for providing poor services to Scottish courts, companies involved in and convicted of crimes such as ‘industrial’ espionage, international financial market manipulation, and bribes, bid rigging, and tax dodging. Sheriff Principal RA Dunlop who heads the courts in Tayside, Central & Fife was revealed to hold shares in G4S who were fined £335,000 for court delays in Scotland, BHP Billiton – embroiled in an anti-corruption investigation by the US authorities, Rio Tinto - caught up in a spying and corruption scandal in China, and Diageo, who are supporting the drinks industry’s legal challenge against the Scottish Government’s minimum alcohol pricing policy. The snapshot register of ‘some’ declarations made by the seven members of the Scottish Court Service Board have since been made available to members of the Scottish Parliament’s Public Petitions Committee, who are currently considering Petition PE1458: Register of Interests for members of Scotland's judiciary. No man, no country is an island. WE all like to think otherwise - you know the feeling … invincible youth … that we can all do it on our own, that independence is a great thing, but the truth is, sometimes, actually, more often than not, and when the need is most great, everyone looks to someone else for a helping hand. It is that kind of world, that kind of harsh reality. It is nature, folks, and we have to deal with it. For those of you who suffer injustice in Scotland – there are many, and increasing in number, the need for assistance and the overwhelming desire to overcome a predicament you and your family have been placed in by others, is a natural and reasonable expectation. But, as we have so often seen in our laws, in our public bodies, the justice system and the courts, all presented to us as saviours to overcome such problems, these institutions do not actually work, at least not in our favour. We are constantly told it will change. It never does. Never. Review after review .. all just lies. Years later the same promises of change never materialise. A baby dies in a hospital, it is covered up – many times over. A family loses a business, are tossed out of their home by a greedy bank, and a lawyer ends up with everything for a pittance, no one gets to find out. A political party donor or hospitality provider is awarded a megabucks public contract after a nod and a wink, and then some regulatory body is brought in to rubber stamp the motion as honest and above board. In reality it has all the sleaze of a drugs deal. And what of the big name high ranking heads of these institutions given £100’s of millions a year to uphold the law or run the courts. Well, it turns out they would rather sit down to dinner & sword dances with dictators and lap up a gold watch and an offshore fiddle, than sit down and do what is necessary to help a family out of poverty, or put someone’s life back in order after it has been mangled by the system. This, is Scotland. It could, be you. Today, it is your choice, your voice, and your vote. So use it wisely. Think. Don’t be bullied by vested interests. However you decide to vote, you have the right to decide for yourself. And, whatever you decide, good luck to us all. Law change makes it easier for lawyers to look after their own. 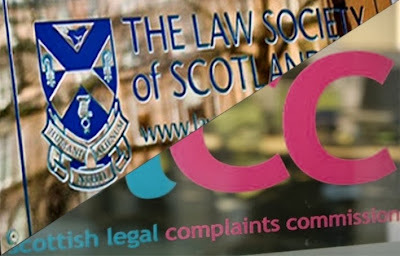 RECENT Scottish Government backed changes to rules governing how solicitors, advocates and the remainder of the legal profession investigate themselves now make it easier for the ‘independent’ Scottish Legal Complaints Commission (SLCC) to dismiss complaints against rogue lawyers at an earlier stage than is currently allowed, or, if the situation permits, reinstate a complaint after it has already been dismissed. Now known as Scottish Legal Complaints Commission (Modification of Duties and Powers) Regulations 2014 the changes also give solicitors involved in conduct complaints a new right to complain about the manner in which the complaint was dealt with by the relevant professional organisation. The controversial change - allowing lawyers to complain about complaints, may inevitably lead to dodgy lawyers using this procedure as a tactic to avoid the already meagre disciplinary measures handed down by the Law Society of Scotland and the Scottish Solicitors Discipline Tribunal (SSDT). Earlier this year, the SSDT was shamed earlier this year in Lawyers Behaving Badly - a BBC Scotland investigation which revealed how “dishonest” lawyers escape being struck off in Scotland while in England & Wales, such conduct would result in a striking off. Another change to the rules governing the Scottish Legal Complaints Commission effectively creates a quango within a quango - requiring the SLCC to set up an ‘independent’ panel to advise it on consumer and equality issues. While the ‘independent’ advisory panel is more likely to be comprised of lawyers vested interests like the SLCC itself, MSPs were told it is is also to include representatives from consumer and equalities organisations. The panel's remit will be to make recommendations to the Commission for improvements in practice and procedures; to make suggestions of topics for research connected to consumers; and to express views on other matters as requested. The overly pro-lawyer moves, are a result of discussions between a group consisting of the Law Society of Scotland, the Scottish Legal Complaints Commission, the Faculty of Advocates, the Association of Commercial Attorneys, the Legal Defence Union, the Scottish Solicitors Discipline Tribunal, Citizens Advice Scotland, Which? 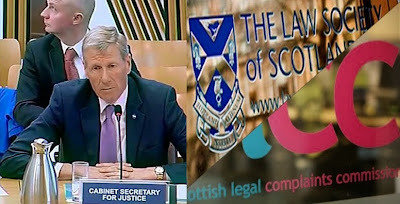 and the centre for professional legal studies at the University of Strathclyde law school were backed by Justice Secretary Kenny MacAskill, who attended the Justice Committee on 5 August 2014 to give evidence on the proposed changes. Rules change will benefit consumers little. 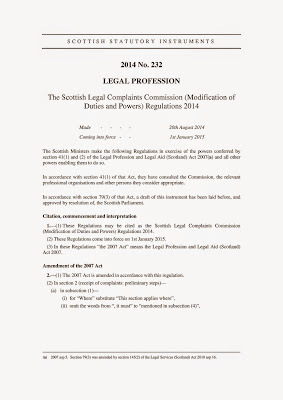 The Scottish Legal Complaints Commission (Modification of Duties and Powers) Regulations 2014, were laid under section 41 of the Legal Profession and Legal Aid (Scotland) Act 2007, passed by the Scottish Parliament eight years ago in what has now become a flawed attempt to clean up the law on how lawyers deal with complaints against their colleagues. placing an obligation on the SLCC to set up and consult an independent panel. The Convener: If I have members' attention, I will move on to agenda item 2, which is consideration of an affirmative instrument. The draft regulations amend and add to the duties and powers of the Scottish Legal Complaints Commission with the aim of improving the complaints process. The cabinet secretary has, of course, stayed with us, and I welcome from the Scottish Government Denise Swanson, head of the access to justice unit, and Alastair Smith, from the legal services directorate. The cabinet secretary will give evidence in advance of the debate on the regulations. I understand that he wishes to make a brief opening statement. Kenny MacAskill: Thank you, convener. I am happy to be here to assist the committee in its consideration of the draft Scottish Legal Complaints Commission (Modification of Duties and Powers) Regulations 2014. The Law Society of Scotland and the Scottish Legal Complaints Commission previously contacted the Minister for Community Safety and Legal Affairs and the Justice Committee to raise concerns about certain tactical aspects of the Legal Profession and Legal Aid (Scotland) Act 2007. The society and the commission agreed to form a working group with other stakeholders, the aim of which was to suggest changes to the legislation to improve the complaints process, which would benefit both the public and the profession. The group consisted of the Law Society, the Scottish Legal Complaints Commission, the Faculty of Advocates, the Association of Commercial Attorneys, the Legal Defence Union, the Scottish Solicitors Discipline Tribunal, Citizens Advice Scotland, Which? and the centre for professional legal studies at the University of Strathclyde law school. "Our public services are high quality, continually improving, efficient and responsive to local people's needs." The regulations will rearrange the order in which the SLCC considers the various aspects of a complaint, to improve efficiency and better reflect current practice. They will give the SLCC the power to discontinue and reinstate service complaints and will give legal practitioners the right to complain about the handling of a complaint by a professional body. They will also require the SLCC to set up an independent panel to advise it on consumer and equality issues. I hope that that is useful to the committee. I am happy to take questions. The Convener: It all seems like common sense to me. Margaret Mitchell: I thank the cabinet secretary for that opening statement. 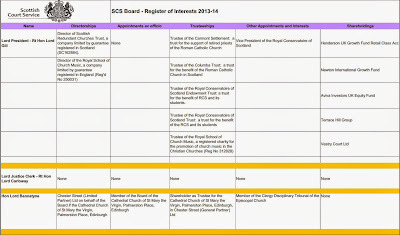 To what extent does the Scottish Government monitor the operation of the commission? Denise Swanson (Scottish Government): The SLCC lays an annual report before Parliament. It is a non-departmental public body for which my unit has sponsorship responsibility. We work closely with the SLCC, including on its consultation on budget proposals. It is an unusual non-departmental public body in that it is funded not by the Scottish Government but by a levy on the profession. There is a certain amount of accountability to the profession regarding the way that the commission operates. We work very closely with it on improvements to and efficiency in its operations. Margaret Mitchell: I am aware that ministers appoint members of the board. Given that the changes, which are all very sensible and should improve the complaints system, have come from stakeholders, and given that the commission came into being in 2008, is it not time for some post- legislative scrutiny of how the commission is operating and a more in-depth look at its performance and how it could be improved? Kenny MacAskill: I am happy to consider any suggestions that Ms Mitchell or, indeed, the committee may have, but it seems that we have the appropriate balance. As Denise Swanson said, the commission is a non-departmental public body. We appoint the commission and there is a level of scrutiny there, but we have to have trust and faith in those who are appointed, and we do. Equally, it is quite clear that the levy, which is unusual, if not necessarily unique, ensures that there is a great deal of scrutiny by bodies that represent individual members of the profession. I am happy to take on board any suggestions, but it seems that the commission, together with those stakeholders, has been working reasonably well. It has recognised that there have been challenges and difficulties, and it has got itself together and worked out what changes are needed. We are here as an Administration to support it, although we are open to suggestions. Margaret Mitchell: I understand that the SLCC is funded by a levy on stakeholders—people who may be the subject of complaints—so I suppose that I am suggesting that we should ensure that there is more independent scrutiny. Kenny MacAskill: Again, I say that I am open to suggestions about the level of scrutiny that you want. I have had no suggestion that the organisation is not working reasonably well and smoothly. Clearly, the Government has oversight and responsibility regarding the commission, as it does with any NDPB. It seems that some tweaks have been made and some challenges have been met. We are discussing and engaging with stakeholders. My deputy and I meet the Faculty of Advocates and the Law Society regularly. Unless matters such as malfeasance were suggested, I do not see why the Government would wish to intervene in a body that appears to be liaising well and operating reasonably smoothly. However, we are always open to suggestions. Margaret Mitchell: The measures in the regulations are good but, given their number, it would be good to have wider debate and parliamentary scrutiny. We in the Scottish Parliament are notoriously bad at doing post- legislative scrutiny. Kenny MacAskill: That is a matter for the committee or perhaps for Opposition parties in considering Opposition days. One reason why many aspects have been referred to is that the field is complicated. I welcome the fact that the measures have been discussed and taken on board not only by those who would normally expect to be represented, such as the Law Society and the Faculty of Advocates, but by bodies that interact with the public, such as Citizens Advice Scotland and Which? The issue that you raise is for Parliament rather than the Government. The Convener: I do not want to give evidence, but am I right in saying that an arm of the Law Society used to deal with complaints? That was not satisfactory. We have now moved to the Scottish Legal Complaints Commission. Does the cabinet secretary agree that the independent advisory panel will be important, as it will look at how the commission operates? Kenny MacAskill: The basis for establishing the SLCC was public concern, which was transmitted across political parties, as the convener said. Such aspects could not and should not be dealt with by professional bodies regulating themselves. Denise Swanson: It might help to note that, in the past two to three years, the SLCC has reported an improvement in the efficiency of its complaints handling. There was a bit of a backlog, which has been resolved. In the budget proposals that were recently consulted on, the SLCC reduced the levy. It is reporting on improvements in processes and in the time that it takes to process complaints. Margaret Mitchell: Are you confident that the enforcement of recommendations is working well? Denise Swanson: Yes. The number of cases that are taken to court for enforcement is reducing. Roderick Campbell: I refer to my registered interest as a member of the Faculty of Advocates. Putting into statute the independent advisory panel is a way forward and I am pleased that it will include representatives of consumer and equalities organisations. That ought to improve substantially how the commission functions, if it takes on board the panel's comments. The Convener: I welcome the flexibility that is being built in, but I am surprised that it has taken a wee while to get that. It seems like common sense to have the ability to revisit eligibility questions and rearrange the order of consideration and to have the power to discontinue and reinstate service complaints. They all seem like measures to manage cases that should have been available from the start, so I very much welcome them. Consultation packs were sent to a range of people. Were they all happy? Were the consultees—particularly the consumer organisations Citizens Advice Scotland, Which? and the Office of Fair Trading—content with the amendments to existing practices? Denise Swanson: Yes. Those organisations were part of the group that worked on the proposals. The group's remit was to agree which improvements could be delivered through practice change, which would require primary legislation and which would require subordinate legislation. The group agreed on the position. The one outstanding issue concerns appeals going to the Court of Session. That element requires primary legislative change, so the group accepted that it must remain as it is at the moment. The Convener: Do the rest of the proposed amendments have agreement across the spectrum? The Convener: That is fine. The Convener: As members are aware, we are required to report on all affirmative instruments. Are members content to delegate authority to me to sign off the report? Members indicated agreement. The overtly pro-lawyer changes to the SLCC’s rules, dubbed by critics as more “window dressing” come after Justice Secretary MacAskill earlier this year refused to give more powers to the Judicial Complaints Reviewer to hold dodgy Scottish judges to account, some of whom were revealed to have criminal records, tax dodging investments and shareholdings in businesses directly connected with the courts. Although the legal profession claim the Scottish Legal Complaints Commission is independent and funded by lawyers, in reality, the SLCC is paid for by a levy from lawyers who in turn recoup it many times over from unsuspecting clients. In short – if, as clients, you have paid legal fees since 2008, you have probably paid your solicitor’s SLCC complaints levy many times over. Last year, a media investigation revealed lawyers secret links with ‘independent’ regulator, showing the Scottish Legal Complaints Commission is actually run by former Law Society of Scotland employees, lawyers, and other vested interests from the legal profession. Labels: complaints against lawyers, Justice Committee, Kenny Macaskill, Law Society of Scotland, Scottish Government, Scottish Legal Complaints Commission, Scottish Parliament, Which? Ex-head of AIB Gillian Thompson takes over Judicial watchdog role from the popular Moi Ali. SCOTLAND’S ‘powerless’ judicial watchdog charged with reviewing complaints against judges has a new head – Gillian Thompson OBE, appointment to the role of Judicial Complaints Reviewer (JCR) last week by Cabinet Secretary for Justice, Kenny MacAskill. However, the appointment comes without any strengthening of powers for the role – described as “Window Dressing” by Scotland’s first JCR Moi Ali, who revealed to msps last year the Judicial Complaints Reviewer has no statutory powers to hold judges to account. Scotland’s second JCR, Gillian Thompson is a retired civil servant with a career spanning four decades, during which time she was also Chief Executive of the Accountant in Bankruptcy between 2002 and 2009. As Chief Executive of the AIB, Ms Thompson supervised the regulation of the bankruptcy process including the performance of trustees and commissioners in the exercise of their statutory duties. And in 2010, Gillian Thompson was asked to investigate irregularities in the Scottish Court Service involving staff failing to declare hospitality and using their court positions for personal profit & private gain - arising mostly from activities involving undeclared links to law firms & lawyers. Ms Thompson’s Report on Hospitality & Gifts in the SCS found court staff were secretly using their positions to financially profit from court activities. The appointment of Ms Thompson to the office of Judicial Complaints Reviewer under the terms of the Judiciary and Courts (Scotland) Act 2008 – an appointment which requires approval from Scotland’s top judge, comes at a time where questions of the effectiveness of the JCR have brought the office and it’s lack of powers into sharp focus during msps deliberations and public debate on the lack of judicial transparency & accountability. 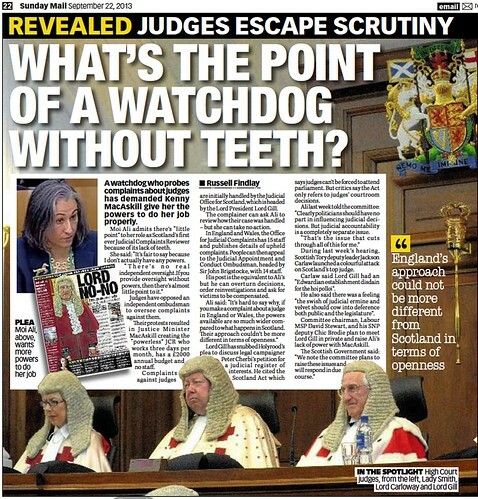 Judges helped create a watchdog without teeth which ended up as window dressing. During debates at the Scottish Parliament’s Public Petitions Committee last September, MSPs heard from Moi Ali, Scotland’s first Judicial Complaints Reviewer who described the role of JCR as “mere window dressing”. 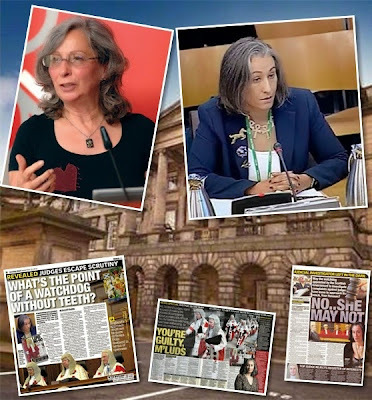 Moi Ali said the JCR’s office had no powers during an evidence session with msps who are currently investigating increased transparency of the judiciary as called for in Petition PE1458: Register of Interests for members of Scotland's judiciary. In England and Wales, the procedure regarding complaints about judges is very different from Scotland, where the Office for Judicial Complaints has 15 staff and publishes details of upheld complaints. If complainants remain dissatisfied with how their case was handled, they can appeal to the Judicial Appointment and Conduct Ombudsman, headed by Sir John Brigstocke, with 14 staff. JCR should have more powers – Moi Ali told Scottish Government. In her second annual report as Judicial Complaints Reviewer, Moi Ali called for the Scottish Government to give more powers to the JCR’s office to deal with errant judges. In response to calls for greater powers for the JCR, Justice Secertary MacAskill refused to grant any extra powers, and First Minister Alex Salmond supported MacAskill's refusal during questions at FMQ’s by John WIlson MSP at the Scottish Parliament. 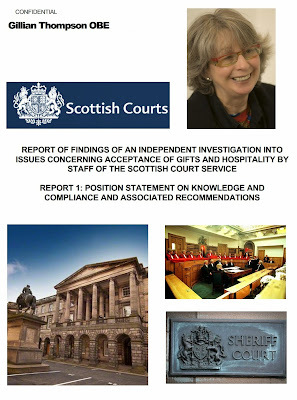 Last year, Diary of Injustice reported on concerns regarding hospitality involving Scottish Court Service employees where Ms Thompson was asked by the Scottish Court Service to investigate reports of irregularities in hospitality given to court staff. The request for the investigation came after the SCS received Freedom of Information requests regarding hospitality in the courts, prompting concerns some staff may have accepted gifts or hospitality but failed to register. Report said SCS Registers were insufficient, and Court staff involved in private gain fail to declare. Gillian Thompson’s Report on Hospitality & Gifts in the SCS stated the “The information currently captured on the registers is insufficient to provide assurance that staff are using their common sense and considering issues such as conflict of interest. However, it now appears the practice of SCS employees working on the side continues, indicating the SCS has failed to curtail their staff from operating undeclared and highly profitable private ventures and even limited companies formed with law firms which clearly give rise to concerns of conflict of interest and continuing corruption in Scotland’s courts. Many of these undeclared money making entities operated by currently serving Scottish Court Service employees are hidden from court scrutiny as SCS staff and clerks have got round the SCS ban by engaging relatives or friends & partners as directors in brazen attempts to avoid declaring interests, earnings and relationships with law firms, some of which are connected to members of the judiciary.